A compact lightweight, but powerful megaphone. With its built-in 10W amplifier, sound can be projected up to 500m in ideal conditions. 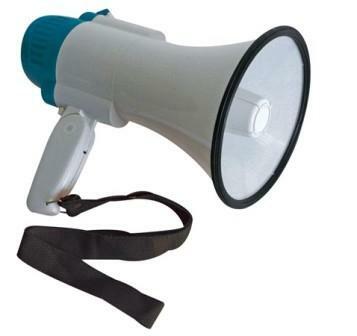 The megaphone also features a good quality built-in microphone, siren, comfortable pistol grip handle, rotary volume control and a short carrying strap.